We create a personalized training program addressing your specific needs, time limitations and athletic goals for a particular race or for an entire season considering your life priorities. This option is a great alternative for athletes seeking structured training and coaching support without the full integration of our one-on-one programs. This allows the athlete flexibility to tweak the structure in his personal way as a Do It Yourself opportunity. Our programs are evidence based in sports physiology and proven training concepts that have produced amazing performance from elite to everyday recreational athletes. You won’t find any marketing buzz, no magic ‘systems’ and not shortcuts. Our athletes succeed based on hard and consistent work. The programs can be developed for an entire season (52 weeks) or as little as 12 weeks to targeting a particular race. Season Planner which includes Annual Periodization Training Plan with specific goal races (up to 6 A races per 52 weeks cycle) and other personal commitments (work, family, travel, etc.) provided in PDF file. Field testing to develop sport specific training zones based on Perceived Exertion, Heart Rate or Critical Power. Online training log hosted on Training Peaks to track log your workouts and track progress. 20% discount on performance services such as bike fit/position optimization. Personalized training plan for entire period of your program. General race and fueling execution guidelines delivered based on your goals and main racing distance. (30% off personalized racing/fueling execution plan based on your specific needs and goals delivered based on Heart Rate and/or Critical Power. Periodirized Resistance training plan with specific exercises and descriptions including plyometrics, sport specific drills, etc. 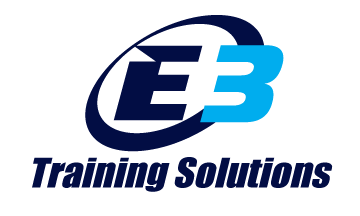 Access to E3 Training Solutions Training Guides. Access to E3TS Racing Club. Access to private E3TS forums. In the forum you will create your own personal thread and have access to your coach where you can ask any question you might have about your training; your coach will respond all questions within 24hrs. Access to E3TS multi-media content including webinars, webcasts, podcasts, etc.